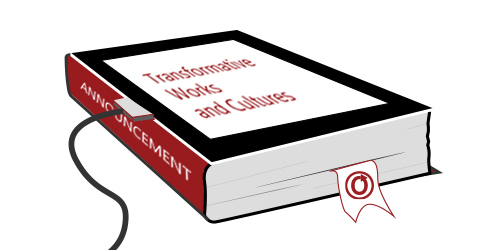 Transformative Works and Cultures , the OTW’s scholarly fan studies journal, has released Volume 21, The Classical Canon and/as Transformative Work, guest edited by Ika Willis, University of Wollongong. The essays in this special issue analyze “the relationships between Classical literature (and its afterlives) and contemporary fan work,” as Willis’s editorial notes. The essays deal with the inscription on an eighth-century BCE clay cup; Galen’s second-century CE treatise On His Own Books ; Sir Philip Sidney’s late 16th-century Arcadia ; and the way the new Doctor Who deals with monsters from classical myth. Addressed are notions of canonicity, authorship, and affective connection. The essays perform comparative work linking Classical ideas, texts, and notions with contemporary fan writings and practice. The issue also includes several book reviews of interest to TWC’s audience. The next issue of TWC, Volume 22, will appear in September 2016 and is a general (unthemed) issue.